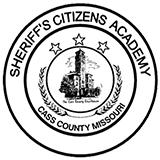 Members of the Cass County Sheriff's Office Disaster Emergency Response Team (D.E.R.T.) 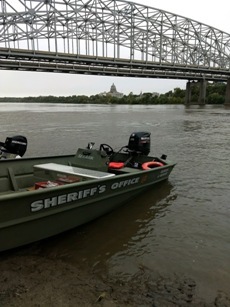 are attending boat operation training with the Missouri State Highway Patrol this week in Jefferson City. In 2014 the Cass County Law Enforcement Restitution Fund Board of Directors provided the funding for the sheriff's office to purchase a 20 foot SeaArk boat to be used in search and rescue operations. Funding also provided for the purchase of safety and rescue equipment. 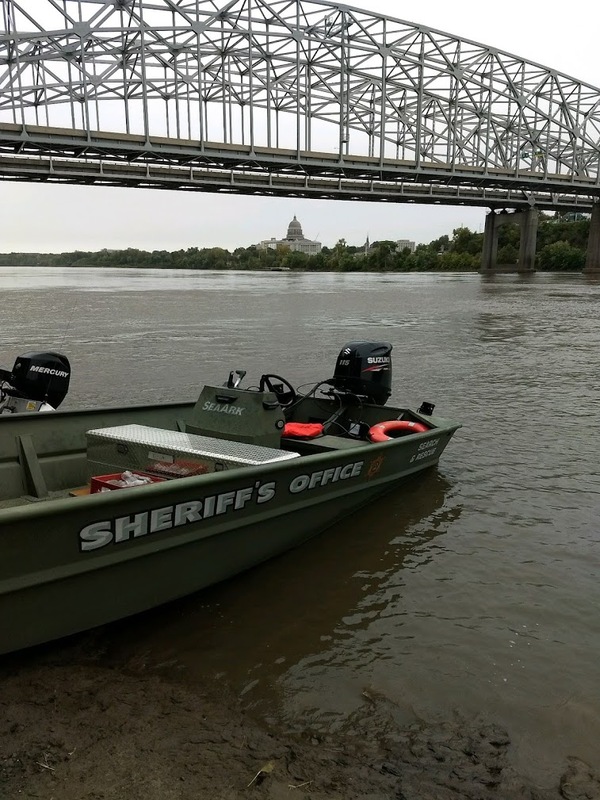 Cass County has over 30 large bodies of water and three rivers within its 700 square mile jurisdiction. 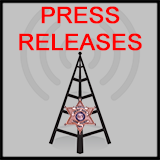 "Our county has numerous areas that are prone to flooding during heavy rains. Our deputies are called to rescue residents trapped by flood waters, motorist caught in high water, or to search lakes and streams. 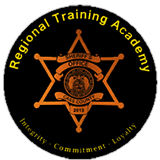 The ability to have the proper equipment and trained personnel are vital to keeping our citizens safe," said Sheriff Jeff Weber. 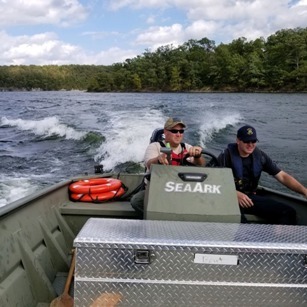 The 3-day class hosted by the Missouri State Highway Patrol provides training in backing trailers and launching boats. 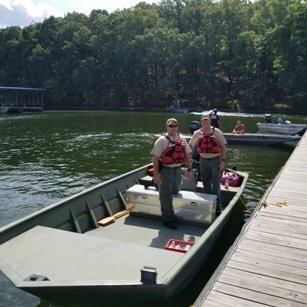 Deputies will also receive hands on training in proper boating operation fundamentals. 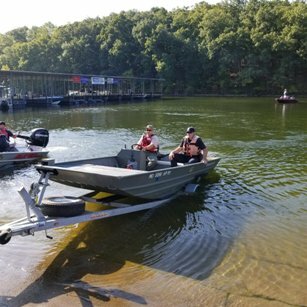 These fundamentals include properly trimming a boat motor, pulling alongside other boats or objects, and proper ferrying techniques. 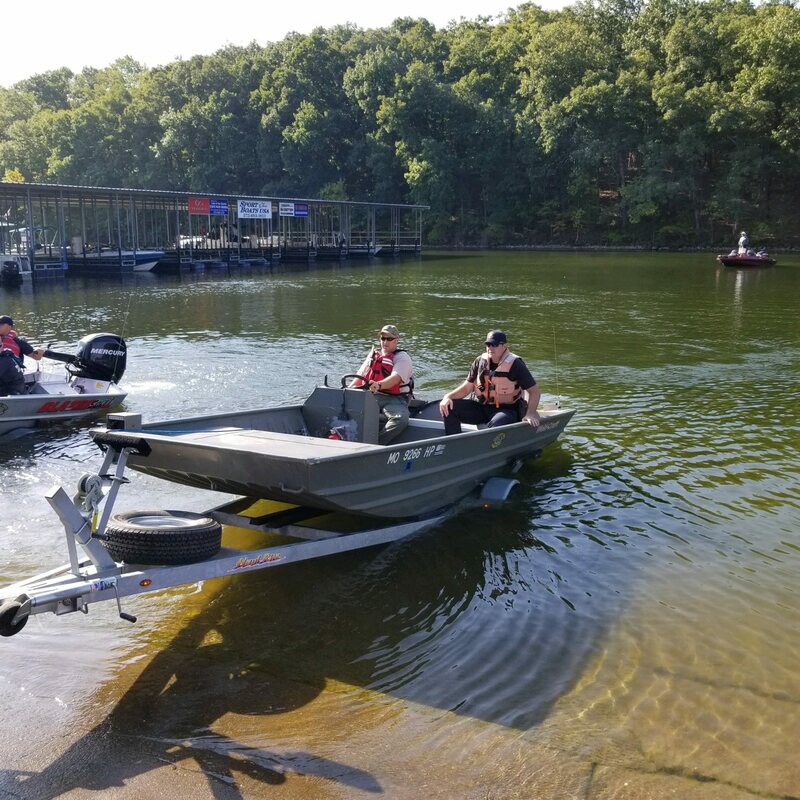 Deputies will be trained and complete courses of operation include a planing course, a backing course, and a slalom course. They will also be required to successfully pull alongside another vessel in moving water.